Fred Bowen writes a sports column for The Washington Post's KidsPost section. He is the author of 19 children's books about sports. Q: How did you first get interested in writing sports books (and a sports column) for kids? A: About 30 years ago, I wrote movie reviews for two local newspapers in Montgomery County, Maryland. This gave me experience writing for a general audience. I also found I enjoyed being published. I had to give up the movie columns when my children were born. However, years later I started reading sports books to my son. I realized the books were not very good. This inspired me to write better sports books than the ones that were available. Sports had been very important to me as a kid and I suspected that sports would be very important to my kids. I felt very strongly that kids deserved better sports books. I wrote nine kids sports books from 1996 to 2000. The Washington Post approached me to write for the KidsPost in 2000 because the editors knew about my books. I have written my weekly sports column for kids ever since. In 2008, I retired from the federal government (I was a lawyer for more than 30 years). I began writing books again. I have written 10 books since I retired. Q: Your novels include information about sports history, often tying the history in to the plot of the book. How much research do you do for each book, and what does your research usually involve? A: Like almost all writers, I am an avid reader. One of my favorite subjects is history, and especially sports history. Over the years, I have read hundreds of books, as well as newspaper and magazine articles about sports. I should also mention that I have been a sports fan for more than 50 years. So I have a great storehouse of information about sports history. I use this knowledge in picking the subjects for my books and articles. I then do more research, usually by reading more current books and articles, to help write the history chapters of my books as well as the KidsPost columns that feature sports history. 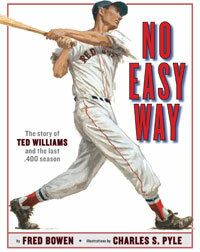 Q: You've also written a picture-book biography of TedWilliams. Why did you choose to write about him, and are you planning more biographies? A: I grew up in Massachusetts and, while I never saw Ted Williams play, I heard lots of stories about the great Red Sox slugger. I always loved the story about how Williams refused to sit for the last two games of the 1941 season to preserve his .400 batting average. Instead he risked his record and played the final two games. And hit .406. 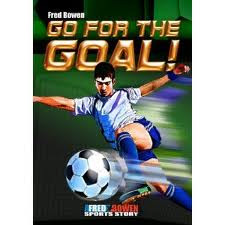 I thought the story No Easy Way was important for kids to hear because Williams was a wonderful example of someone who worked hard and refused to take the easy way out to achieve his goals. I have written another non-fiction picture book, similar to the Williams book, that is about women’s soccer. The publisher (Penguin) is supposed to be choosing an illustrator. I hope it will be published in the next couple years. Q: Who are your own favorite teams, and favorite players (current or former), and why? A: As I said, I grew up in Massachusetts and so my all-time favorite team is the Boston Red Sox. I was so happy when they finally won their first World Series in 86 years in 2004. But I have lived near Washington for a long time so now I root for the Washington Nationals (baseball), Redskins (football) and Capitals (hockey). I also root for the University of Maryland – Baltimore County (UMBC) baseball team. My son, Liam, is their pitching coach and recruiting coordinator. As for favorite players, I have to say my favorite players were my son when he pitched in high school and college and my daughter, Kerry. She played field hockey and softball in high school. My favorite player when I was very young was Elijah Jerry“Pumpsie” Green, an infielder for the Red Sox. He was not a great player, but he was my favorite. 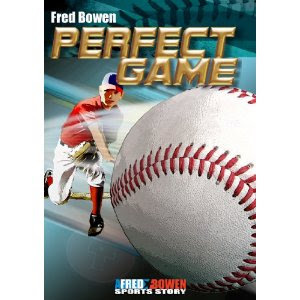 A: I am very excited that my 19th book, Perfect Game, will be published in March 2013. The story is about Isaac, a pitcher who is a perfectionist. Isaac really wants to pitch a perfect game and gets frustrated whenever things go wrong. His coach gets him to help out with a Special Olympics Unified Sports basketball team. That is a team where kids with intellectual disabilities play with “regular” kids. The experience helps Isaac to think in a different way about the importance of being perfect. There are two history chapters in the back of Perfect Game. The first is about the 23 major league pitchers who have pitched a perfect game. The second history chapter tells my readers about the Special Olympics Unified Sports program. I am also currently working on a football book that will be published in the fall of 2014. A: When my kids were growing up, I coached more than 30 recreational kids sports teams. It was great fun, but it was also fabulous research for my books and columns.